Based on an Intelligence, Surveillance, and Reconnaissance (ISR) foundation, the Strategic Aviation UAS technologies deliver high-value management information to decision makers and research professionals. Developed through a unique combination of imaging, security and aviation expertise, our system provides granular detail and actionable information in any high-risk setting. 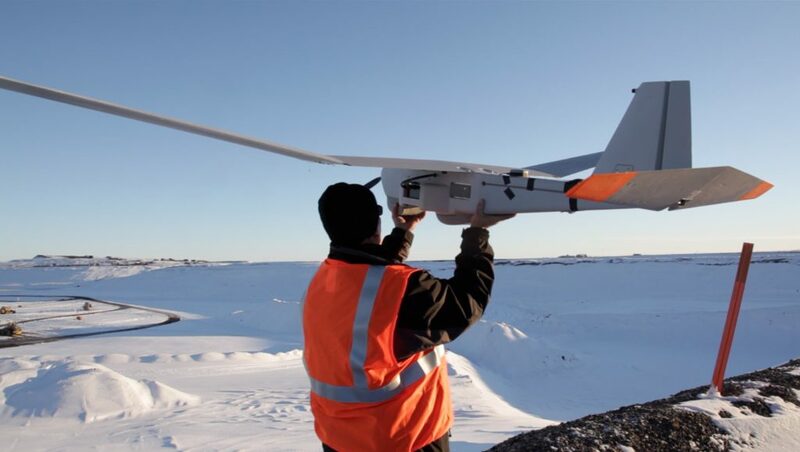 Strategic Aviation’s Unmanned Aircraft Systems (UAS) team has been operating unmanned systems for over 20 years accumulating over 300,000 flight hours globally. We can deploy dozens of different UAS systems to all corners of the globe to meet our clients’ immediate requirements. 3D Modelling: Produces high-detail 3D models of points of interest such as construction sites, buildings, and firing points – primarily used as inputs for our tier three products. Terrain Modelling: Creates 3D models of the terrain surface in any area. This product enables terrain to be independently analyzed, topographical maps to be produced, and provides an input to our remarkable threat visualization and analysis platform. 2D Mapping & Imagery: Delivers ‘standard’ aerial imagery in very high detail. Strategic Aviation is able to update information on demand and deliver superior imagery to the commercial world. Visual Threat Mapping: Generates a visual representation of threats on a high-detail map, whether the threat is from rifle, rocket, or MANPAD. This product is used by international airports world-wide. This product saves lives in high-risk environments. Defense Planning: Provides a dynamic visual platform for the modelling of base defenses, enabling testing of base defenses prior to construction, with results given in minutes. For example, the effect of crop growth on security observation may be calculated almost immediately. Mission Planning: Delivers unmatched ground detail and real-time situational awareness for mission planning, whether an aviation or ground mission. Managers are able to “walk-through” and brief ground patrols in detail before they take place. Facility Inspection: Provides real-time inspections of facility operations, construction sites, and any other area of interest. This product may also track changes over time, such as construction progress. Asset Tracking: Provides a record of fact that corroborates other information sources, such as loss reports and risk management sources. This product also improves situational awareness in order to refine asset protection and emergency response plans. Area Over-watch: Provides surveillance of vulnerable areas such as a facility perimeter, defensible spaces, entrances, and common attack points. This product will significantly improve the ability of security to detect suspicious activity or an imminent attack. Detection Assessment: Enables rapid assessment of events, which not only reduces reaction times, but also allows the most appropriate assets to be dispatched. Threat Tracking: Allows for real-time tracking of suspicious activity or active threats inside or outside a facility. This product enables quick reaction forces to interrupt threats faster and with less risk to personnel.